To secure your tickets for our Charity Lunch and Auction at Sandown Park Racecourse in Esher on Wednesday 14 September, please act now. This is the most important fundraising event of our year and a time when we really need your support. If you enjoy the excitement of horseracing, at an inclusive £95 per head you and your friends will not find a better value day’s sporting entertainment. Order your tickets for our Charity Lunch and Auction at Sandown Park Racecourse in Esher by returning your personal invitation, or by calling Julia on 01483 428961, or by e-mailing the office at info@racehorsesanctuary.org. For a reminder of the full details of the Sandown event, please click here. To check out some of the fantastic auction items we have for your delectation, please click here. On the day, just make sure you are there on time for the Champagne Reception, starting at 11:00 am, followed by lunch and charity auction in the Solario Suite with panoramic views of racing action; a grand 10th Anniversary Birthday Cake will be served with afternoon tea. Volunteer required to support the team running our racecourse-side stall selling raffle tickets and Sanctuary merchandise; meal and drinks voucher provided – please call Julia. Buddy qualifies for show jumping at Hickstead; Corker moves to a new foster home with Heather in Surrey; Warrior makes such encouraging progress he can return to Stilemans; and Henry moves to his new home in Surrey. Congratulations to Mary and Buddy, a 9-yo chestnut gelding known in his racing days as Portrait Emotion. 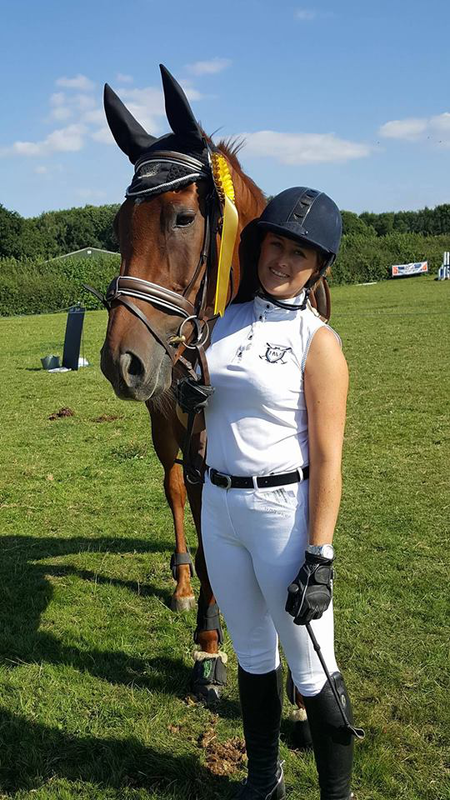 Mary has persevered with Buddy’s show jumping, such that at a recent event they came an encouraging 3rd in the 90cm class, which qualifies them now to compete show jumping together at Hickstead. Thanks to Mary’s efforts and encouragement Buddy has come such a long way since his racing days. Who knows just how far he will go; as a point-to-point winner and second in a competitive hurdle, there is competitive potential there to build on. Mary’s patience is definitely paying off. It was a hugely important day for good old Corker as he set off to his new foster home with Heather in Surrey. The pair are off to a head start in that Heather worked for the charity for a period and during that time fell head over heels in love with Corker and is now in a position to provide him with a home and love and attention. Knowing Corker as he does Graham is sure this pair with have some exciting and very rewarding times together in the future. Keep looking out for more photos, as Heather is now the very proud Mum of Corker and my feeling is that she will want to show him off to the world. Meanwhile you might like to see this VIDEO of Corker responding to overtures of friendship from Ernie. 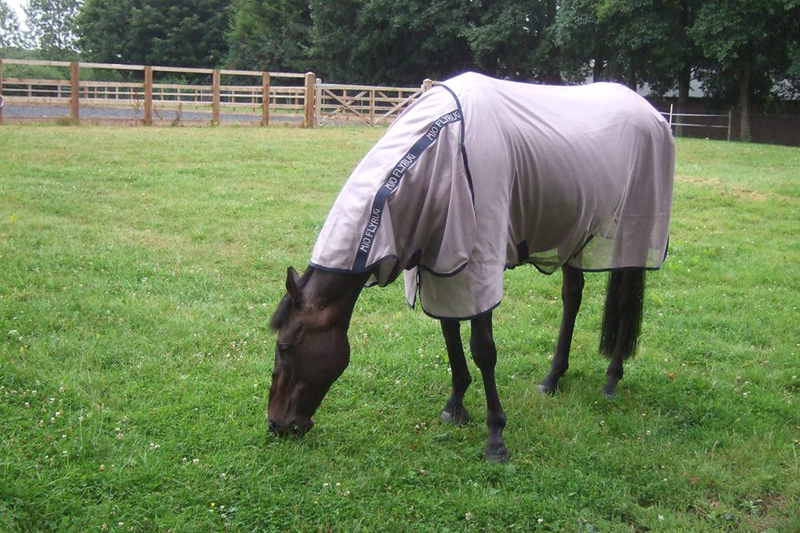 Warrior is back at home with us and feeling very proud of himself as he grazes freely in his restricted paddock. He is very comfortable in his clogs, which will remain his foot ware for as long as he needs them, forever if necessary. Breath was held all round, when he had one skittish moment, but fortunately he showed no ill effects; the irony is that he was the least concerned horse at Stilemans, when we had a very windy day. This smashing little horse is as happy as larry and simply doesn't know the meaning of the word complain. We are so lucky to have him with us, despite the saga involved in sorting out his feet. If his story has moved you, do not forget Warrior’s JustGiving page is still open for donations. 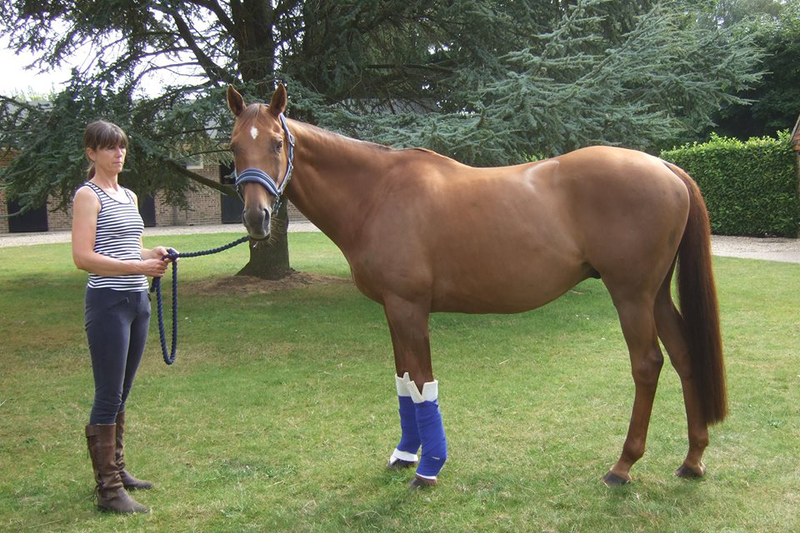 Last week lucky young Henry set off to his new home in Surrey with Liz. Henry, a 5-yo bay gelding who raced as Sandfield, will be living with a successful event horse and with any luck will be making a n ame for himself in the dressage world, he certainly moves well enough to do so but whether or not he decides to play ball with this idea is another matter. Either way Henry will have fun and be well cared for which is all that really matters. 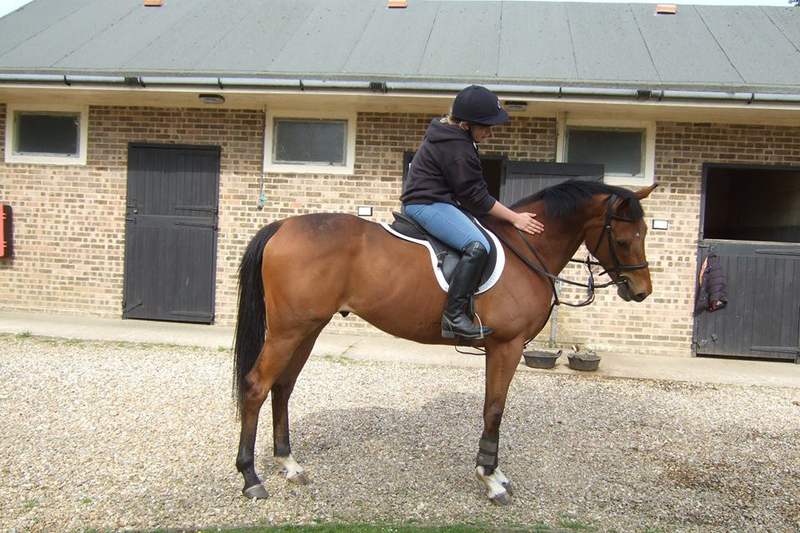 Henry came to us designated as vulnerable by Retraining of Racehorses, with a welcome grant towards his rehabilitation. His initial assessment and retraining was interrupted by a back problem, but fortunately that is behind him now, and his potential soon attracted Liz’s attention, when she saw Henry working with Hannah. Good luck to them both. For the young at heart, September also brings us Wildwood Rocks 2016, whilst as we prepare for Sandown we have a preview of our 2016 Christmas card, which will go on sale on the raceday. The Sanctuary will be one of the charities to benefit from Wildwood Rocks 2016 on Friday 16 September 2016 at Wildwood Golf & Country Club. For full details and to order tickets on-line, please visit the concert’s dedicated website. 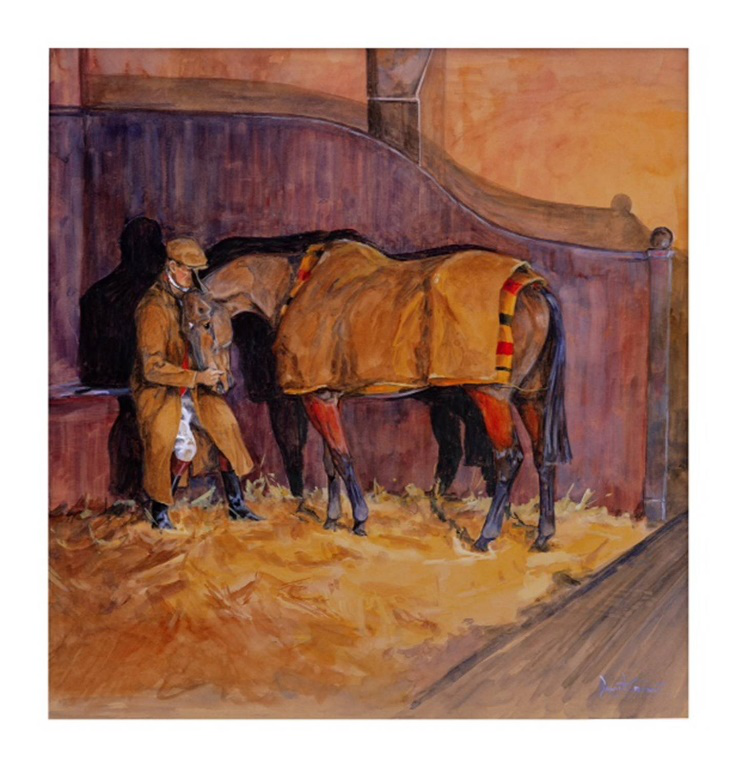 Popular sport artist Daniel Crane has very kindly allowed us to use one of his wonderfully atmospheric horse paintings for our 2016 Christmas card, which will be going on sale at our Sandown raceday. If you cannot make Sandown, full details of how to order your own cards will be available in the next issue of From the Horse’s Mouth.